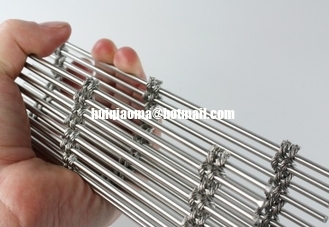 MULTI-BARRETTE specifications with their flexible cables require special tensioning systems. 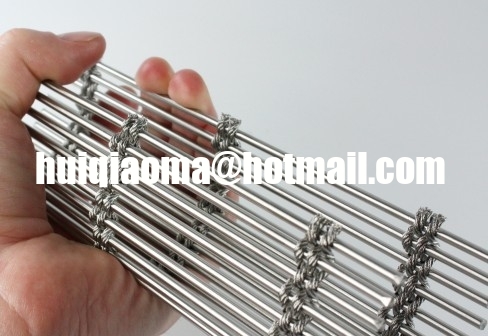 For example strong round rods are incorporated into the mesh. Depeding on the size of the elements intermediate moutings are required besides the standard top and bottom mountings. For each mounting level different tensiong techniques are available - to meet your visual and optical demands.